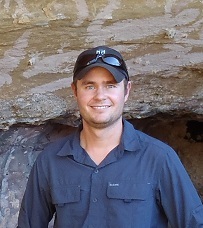 Michael completed his PhD in Physics in 2012 and is currently a Postdoctoral Research Fellow (TERN AusCover) in the School of Science and Technology at the University of New England. Michael is also a member of the Precision Agriculture Research Group (PARG). Based in Canberra, Michael works in the TERN AusCover remote sensing group where his main roles include using terrestrial and airborne laser scanning for monitoring vegetation. These laser scan measurements are collected at field sites scattered all over Australia and are utilised to monitor vegetation health, crop vigour and yield as well as other vegetation structural attributes such as above ground biomass. Lamb, D. W., Schneider, D. A., Trotter, M. G., Schaefer, M. T., & Yule, I. J. (2011). Extended-altitude, aerial mapping of crop NDVI using an active optical sensor: A case study using a Raptor™ sensor over wheat. Computers and electronics in agriculture, 77(1), 69-73.